How many ecourses have you bought that you still haven’t finished? Come on, admit it… more than one, right? I’m guilty, too. You don’t want any of the courses that you’re creating to fall into that category… So how do you design an ecourse that delivers results for your participants? 1. Make it easy for people to access your course, with a simple process for them to login and navigate through your course content. This is a given, but if people can’t find their login information or remember how to access what they’ve signed up for, it’s a non-starter! 2. Make your first module a comprehensive overview of the course that you’re teaching. In the book “Making Learning Whole: How Seven Principles of Teaching Can Transform Education ” by David Perkins, the idea that teaching just pieces of something instead of the whole big picture first is debunked. Think about it: you don’t learn how to play a sport or a card game by learning each of the individual rules. Instead, you start playing with broad strokes and you learn the finer details as you go along. So design your introductory course material with that in mind, and not only will your participants be able to hit the ground running with what you’re teaching, but they’ll feel like they’ve made a lot of headway quickly! This helps motivate them to keep going. 3. Make your course material interactive, multi-media, and fun! Infuse your personality and style into your online courses, and leave the classroom feel behind. Recognize that different people have different learning styles, and that some people will want to watch, listen, or read your content. Consider having your lessons transcribed, and create exercises that help people implement after they’re done absorbing information. Online learning is an amazing advancement, but not all online education platforms are created equal. Look for a way to give participants ownership of their learning experience, through video bookmarks and progress checklists that remind them of how far they’ve come, and other surprises for them to discover. 5. Build social interaction into your online courses. Today, most people expect to be able to connect with others around a topic that they’re passionate about… and what better way to let them do that than through an ecourse that’s tailored to them. Think about ways to nurture a community and build accountability into your curriculum through forums and Facebook groups. This takes the learning experience into someone’s daily routine, and encourages them to ask questions and get feedback as they learn and practice. And if you’re wondering what online learning platform we use here, you’ll definitely want to check out AccessAlly – the WordPress plugin for Infusionsoft that my husband and I developed just for this purpose. Check it out if you’re ready to kick your online teaching into high gear. Now I’d love to know what online courses you’ve taken that have done a great job in ensuring you login, learn, and implement… what tricks did these courses use to keep you going? Leave a comment below and let me know! Busted! Yes, I have a few (er, maybe more) courses that I have sitting around just chillin’ until I “have more time”. Like that day is ever going to magically appear! Now that I’m building my first fun course, yes I’m absolutely paying attention to how I can encourage my “students” to keep going. Bravo, Nathalie. As an instructional designer, you get my thumbs up on the strategies for building a good e-course. Love the progress bars! Very helpful to students. ps. I had my membership site built like yours as I love the look and functionality. Perfect timing Nathalie. Post Off The Charts Live, I am excited to launch the next iteration of my group coaching program. I’m choosing a platform now and also committing to go back though the 30 Day List Building Challenge to grow my reach. These tips and the book recommendation are valuable. Thanks! Thanks for the quick overview to think about designing online courses. I really like the progress bar examples (#4) – Your graphics are a great example, and with this idea in mind, I am definitely going to make something like this in my upcoming online workshop! Thanks! Oh my goodness! Hello, and thank you. Off the Charts Live was life-changing. A friend texted me to ask how it was, and that was the first hyphenated word that came to mind. I’m implementing much of what I’ve learned asap, and am grateful for the content and storytelling shared by you and the speakers. Good timing for this blog post — my eCourse goes live this July and I’ll be using these tips to keep my members engaged. -I’m about to get into the second round and it scares me! – and… well – yes, I also have an idea for a smaller e-course product, which I am still growing inside me. Entrepreneurs, unite in the course making accountability! Thank you, Nathalie, for making me see I’m not the only one working through this. thanks for this Nathalie. Great tidbits to be aware of as I develop my first on-line course. Will check out AccessAlly. Love this! B-school has been fantastic in terms of ease of use and getting back to log in to older course materials. Super easy. 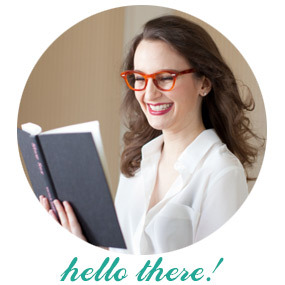 Well, this is super timely, as I just launched my FIRST e-course today! And I’m currently working on my second. I think I followed most of your tips intuitively, but will definitely be ramping it up a bit for the second course. I’m so excited! I finally pulled the trigger on this (a few weeks ago) and found some great affordable tools to create a learning center on my site. Since I was already using WooCommerce I plugged in Sensei, BuddyPress and (thanks to your suggestion) BadgeOs to create a fun atmosphere for learning. Still working things out, because let’s face it looks and sounds better in your head. Would it help if I crossed fingers that Accessally will not be just for Infusionsoft? An awesome post you have here. Thanks for the heads-up. I’m in the weight loss niche and am getting ready to launch my first online training program. I have a quick question though. Will your AccessAlly plugin allow participants of my program to go at their own pace? This is critical for me and I’ll appreciate your answer to my concern. Yes it does Patricia! You can use the “unlock feature” where finishing one module unlocks the next one, or just have every piece unlocked from the start, so people can go fast or slowly as they want! Thanks for this nice breakdown of some essential points when creating an e-course. It helped me thinking through structure and presentation of my new “Getting Started for Entrepreneurs” course. I am a teacher in my country and I love your blog. Great article. Thanks so much, Nathalie! Your Point #2 to give the comprehensive overview at the beginning is a revelation! Makes so much sense to give learners that feeling of success early on, to get them motivated to continue. Now I’m thinking how to use this tip to create great engaging content to boost learner commitments. Best wishes for continuing success in all your endeavors to help us all succeed.